Hello friends! Hope you all had a wonderful weekend. I am starting the week with a work-inspired look. For work outfits, I love stocking up on basic and essential pieces that that can be restyled with different tops and blouses. 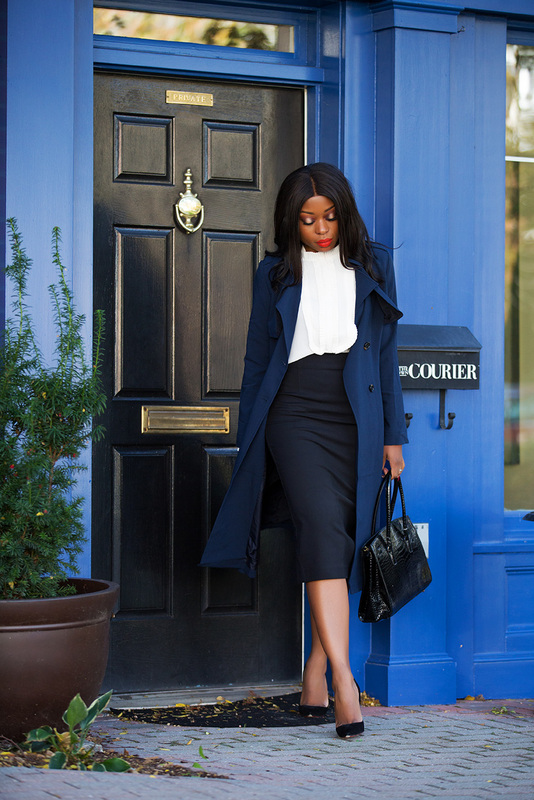 Pencil skirts, black pumps and great sized totes are essential for work wardrobes. 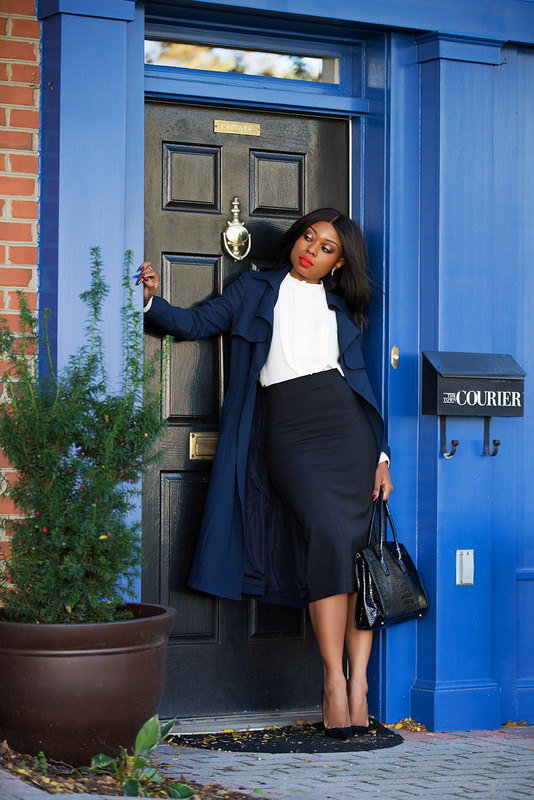 Pencil skirts in varying colors such as black, navy, brown or beige allow me to create different looks effortlessly. 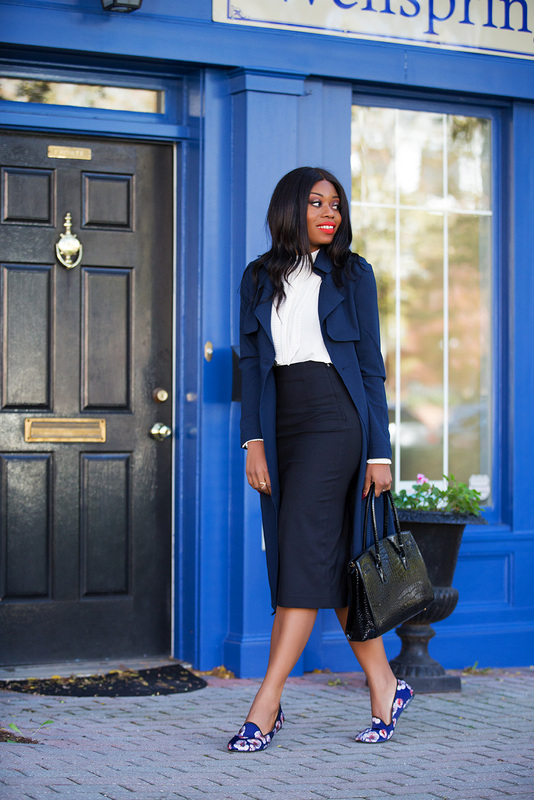 A nice black pump is a great addition to a work wardrobe and if you are not a big fan of heels, comfortable black flats are ideal for work. 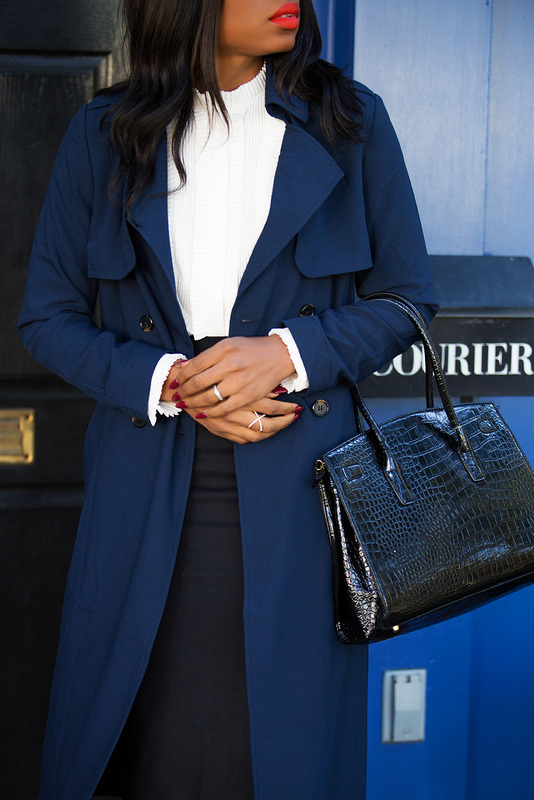 Today’s work style revolves around black and white pieces with a hint of navy blue. 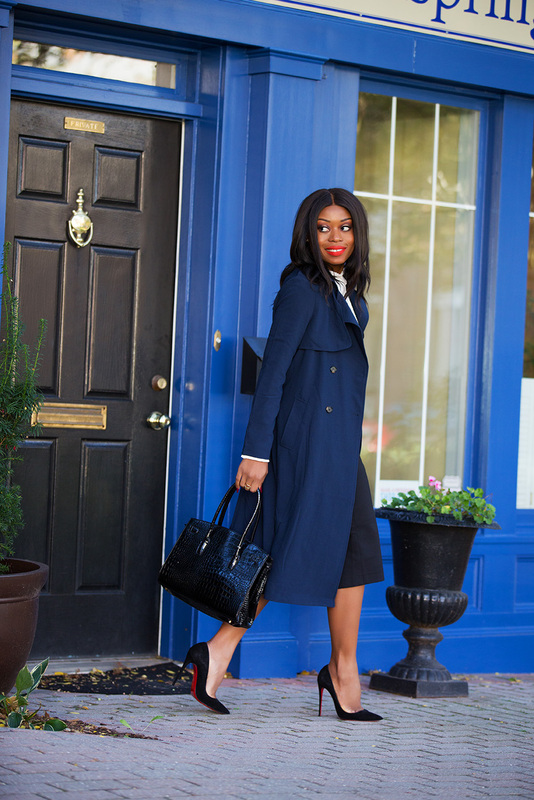 The navy blue color adds a refreshing appeal to the overall look. 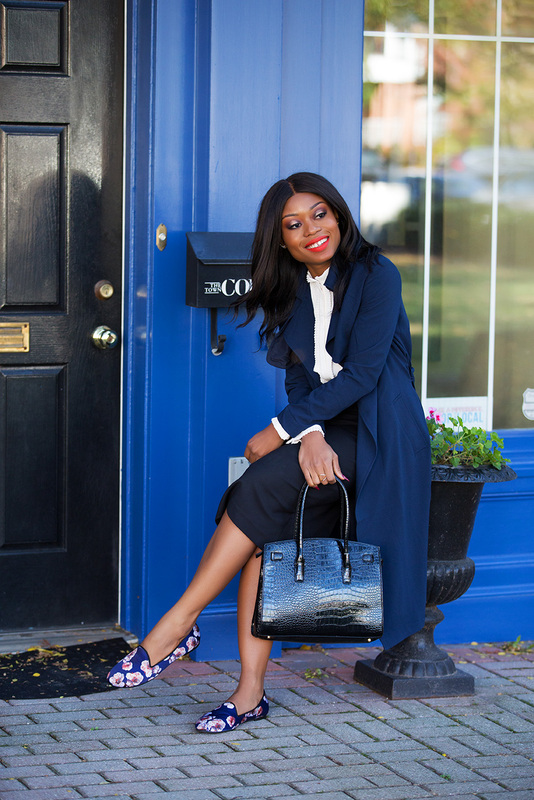 I switched my pumps to flats to highlight different ways to style especially if you are switching from work to running errands. Sometimes, I switch to flats when I am rushing to pick up Nolan from school. Love this look especially the flats!